Every year, gardeners and farmers of all types celebrate the harvest season. It can be hard work, but now is the time to reap what you’ve sown in spring and summer! 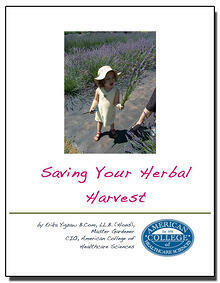 Are there herbs throughout your garden that you really want to harvest, but maybe you’re not quite sure how? Don’t waste the resources that you’ve tended all year: Download the free eBook today!